I received my order today. Just wanted to say a BIG thank you for the excellent and speedy service and I will be sure to use PartyNet again. Wow can I just say how impressed I am, received the parcel just now and the quality is so awesome, thank you. I have received my order in PERFECT condition! 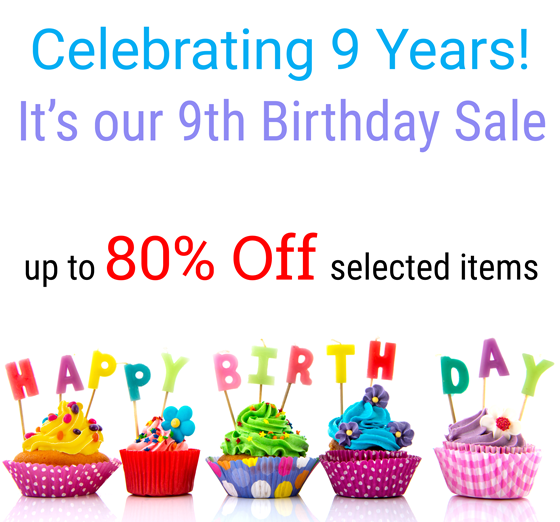 I am so utterly please by Partynet, you're really the best most efficient online party store leading in SA.. and I am absolutely thrilled to have stumbled across you guys and can't wait to share you with family and friends!!!! You guys are awesome, great service and speedy delivery. I received all my goodies beautifully packed. Thank you so much. I just love ordering from you guys! You are number one! Thank you, I have received my order! Thank you for the awesome service! The balloons I ordered yesterday arrive first thing this morning! Hi guys I just have to thank you for the best service Iâ€™ve had in years! Not only could I track the movement of my order, but I got it in time and no defect. Then â€“ I ordered the balloons with the light in â€“ we blew up 1 â€œtestâ€ to see how many hours it lasted. The balloon is still blown up after almost 3 weeks and the light lasted almost 2 weeks! Great service and great products! I collected my goodies. Thank you so much. I wish to compliment you on your superb service. I will definitely recommend you and make use of your services in future. Thank you Sam and The Courier Guy for getting my parcel to me. I received it about 30 minutes ago for a function I'm having tonight. Excellent service. 5 star rating!!!! I would like to thank you for your prompt and excellent service. I will recommend you to those I know. I received my order. Thank you so much. I am very pleased with the goods. Thanx for getting the items to me so quickly even with the delivery delays, much appreciated. Good afternoon Party Net folks... I just wanted to let you know that my order has been delivered here in Cape Town. The Courier Guy staff arrived bright and early this morning and my parcel was in perfect condition. Thank you so much for the excellent and speedy service! I'm a regular online shopper and I can honestly say that it's rare to experience such awesome customer service from a company. My order process was smooth from the start and due credit must be given to everyone at Party Net for a truly refreshing and happy experience. I'm sure my daughter's birthday is going to be a big hit! Thank you again. And here's wishing you every success in the future! I received my parcel yesterday, thanks so much! The quality of the products are excellent and your service was great. Will definitely be back! Thanks, order was received in good time. Thanks for the great service. I received my parcel yesterday really happy, I will definitely get all my party requirements from you guys and recommend your company to all my friends and family. Thank you for speedy response and dispatch of my Frozen goods. I am suitably impressed at how everything was executed and will most definitely recommend your services to family and friends. Thank you PartyNet I have received my order in good condition and on time. This is to let you know that I appreciate the outstanding customer service you provided and getting my order to me on time. I will continue to use your services in the future, as well as recommend it to others. Just thought I'd let you know that I have received my order from PartyNet. I'm totally shocked that my parcel arrived so soon! What a great way to start a Monday. Very big thank you to PartyNet team. Thank you very much I received my parcel yesterday. Everything looks great. Thanks again for excellent service and such a speedy delivery. I will definitely be using your company again in future and I will also recommend your company to my friends. Thank you so much for such incredible service. Parcel was received early this morning. The quickest delivery I have ever experienced - well done!!! After your assistance online, I placed an order and it arrived timeously. I just wanted to thank you for the excellent service and although the order was small, it arrived a day before I needed it which is great! I will definitely be using your services again, and tonight, when guests ask where I got the goods from, I will certainly be recommending your online store. Immediate response. Quick service. Speedy delivery. They NEVER disappoint!!!! I will always order party supplies from them!!!! I just wanted to thank you for making sure I received my package in time for our little one's party. Goes to show you put effort in to ensure happy clients. I will recommend your services to anybody. Thank you very much for the prompt and efficient service. My 3 year old daughter is blown away with the party stuff. I am very impressed with how quick my order arrived and how easy and user friendly your website is. 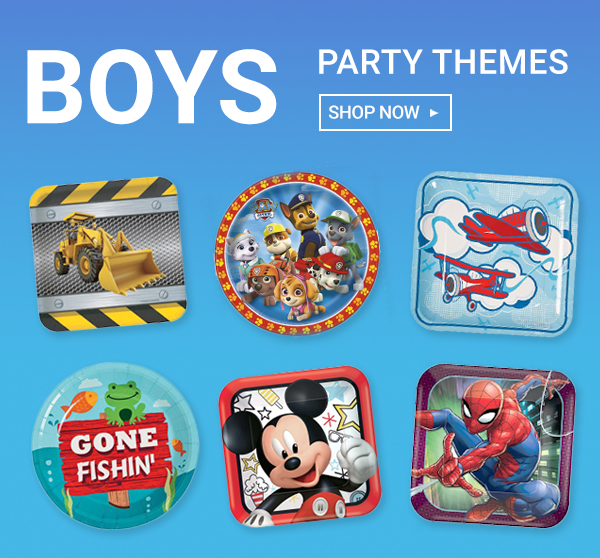 Thank you so much for the FANTASTIC service, this order was for my sons 1st birthday and I can assure you I will be using PartyNet for every birthday and occasion from here on out, and I will be telling all my friends and family about you too! I have received my parcel with all the goodies. What a pleasure to do business with you! I'm telling all my friends about the convenience of your well organized on-line store. Thank you very much for the order! Very happy :) Will definitely use Partynet again! Thank you so much for the delivery. You guys work in such a wonderful manner. I'm a very happy customer and will recommend you guys to everyone I know. Thank you so much for your kind assistance. I am EXTREMELY IMPRESSED with the OUTSTANDING CUSTOMER SERVICE I received from all at Partynet. This so rare to find these days. Thank you so much! I receive my parcel in great order and I am so happy with all the things. You are amazing making moms life so much easier. Will tell everyone about your great service and great things. Just to let you know the order has arrived and it all looks fantastic. Thanks so much for the impossibly fast turnaround and great service. I would like to extend my thank you's to you guys at Party Net. In my 5 years of planning parties for my little one, never once have I received SO much professionalism. I really appreciate your hard work and the fact that you went out of your way to accommodate me at such short notice. I will DEFINITELY use you in the near future again. Once again, thank you and your team. I have just picked my order up and would like to commend you on your brilliant service. Well done! Nice to see that some companies are keeping their standard of service high. I've just received my order and I was totally bowled over! It was more than I expected and the quality is excellent! This is something that we'll be able to use for many functions to come! Furthermore I have to thank you for the quick response to my order and delivery. I will definitely make use of you in the future and spread the word to everyone I know. Hi PartyNet, I would just like to thank you very much for the great service. It's much appreciated. Will most definitely use you in the future and recommend you to all friends and family. Thank you so much! Such great service! Was not expecting my party goods so soon, thank you so very much. I just want to thank the PartyNet team for excellent service! Just received my parcel. I will most definitely support you again and tell my friends and family to also support you in the future. I just wanted to say a massive thank you for really coming through for me with these goodies. I am blown away by the incredible service I have received from your company. Baie dankie!! Julle diens is uitstekend!! I have received the order and am very pleased with the quality. Parcel received. Thank you very much for the helpful service and prompt delivery! Thanks! Received parcel on Wednesday. Thanks for the excellent service, delivery to my work! How convenient. I would just like to thank you for my parcel. I am so impressed with my order and your service. Will def be getting more business from me!!! Thank you for the exceptionally prompt and efficient service. Pleasure doing business. Thank you, I received my parcel and thank you for your excellent service! I received my order today, thanks so much! Everything is in order and the quality of the products are really impressive. I will definitely be doing business with you again! Thanks for your excellent service, I received my parcel. I will definitely order in future again! Just got my package!!! That was extremely fast. I am so impressed. Amazing service!!! Received my order today. Thank you so much for the rush, really appreciate it! Will definitely contact you again. Thank you for your prompt response. I am very impressed with your website and the way you keep your clients informed. Thank you! I just wanted to say a very big thank you for my parcel that arrived yesterday. You guys have always given good service and you are always my first port of call when it comes to my daughters parties. All I can say is WOW!!! Thank you for my stock, it is absolutely awesome!! Thank you so very much for Lisa's delivery of her Barbie goodies! We will definitely be shopping with you again!! What fantastic service. Thank you so much for your speedy turnaround. My little Spiderman is thrilled with his tattoos. Just a quick thank you to PartyNet for their exceptional service. Not usually being this disorganized, I left the decorations to the last minute. 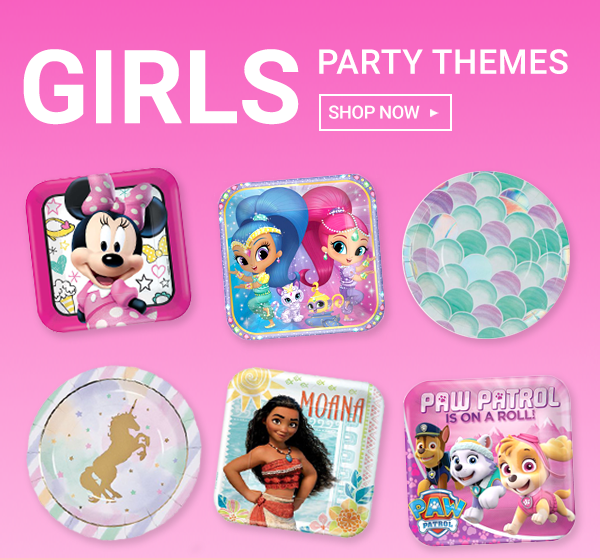 PartyNet was the only stockist that had the theme I was looking for. They managed to get my order to me quicker than they said. Now all is in place and we are eagerly awaiting the birthday party. Thanks PartyNet... I would not have been able to pull this off without your help. Yours sincerely, A VERY happy customer!! Thank you so much for your excellent service. I received my package yesterday and I have to give you a 10/10 for your amazing service! Another BIG thank you to you and your team for coming through for me AGAIN!!! Your service is top notch, and I look forward to working with you again as much as possible! I received my order, and I couldn't be happier! Thank you !! I would just like to thank you for your excellent service. I received my parcel today all in good order. I will definitely tell all my friends about your store. Just to say thank you for the lovely party hard hats that arrived in time and were very much enjoyed. Your courier service was really efficient and professional. Thank you for our delivery and the awesome decorations! The party on Saturday was a huge success! Thanks. It was an awesome party! And all because of PartyNet and the fact that you walked the extra mile for me. Will most definitely use the company again and told all the parents about it as well. Thank you very much. I did receive my order this morning. Thank you for your great service. I will definitely spread the word for PartyNet. I have just received my order. Thank you so much. You guys rock! Thank You so much for getting the wig to us on time, really appreciate it. I just love the wig. Really was a pleasure buying from you. Thank you! I received my order this morning. Excellent service yet again. I just want to say THANK YOU so much for your professionalism! I received my package today and was very happy, and am so impressed with the efficiency and ease at which this whole process happened - I will definitely recommend your services - you guys have made my day!!!! You are fantastic! Thank you so much - greatly appreciate your assistance. Thank you for offering a fantastic service! Just received the parcel - Thanx so much for super fast service!!!! Just want to thank you guys at party net for your great assistance.. I have receive my goods. Thanks for your service, I did receive the parcel this morning. You will hear very soon from me for another order. WOW I got my order and I am very impressed!!! Thanks !!! Just wanted to let you known that I received my parcel yesterday afternoon! Thank you so much for your assistance and speedy service! Much appreciated. Thank you very much for your efficiency. All was received sooner that expected. Will definitely recommend you. I received my order this morning. Thank you so much. I am very happy with the service provided to me by PartyNet. Thank you very much - I collected this afternoon - The goodies look amazing ! Thanks for your help! Thank you for the goods! It made all the difference to my child's party. My order was delivered this morning. Many thanks for the swift and very good service. Many thanks, I have received my goods in good order. Great job and I am very pleased with the products! I will certainly be back again. Thank you so, so much to you all for all the orders. My son's 21st birthday party was a huge success and everyone enjoyed themselves thoroughly and could not believe how everything was looking and turned out. That was because of all the goodies that I had ordered from you, if I did not had all these things it would not nearly be the same, so a Huge Thank You to your team for all my items plus they really worked hard and fast to make sure I had it in time. I'm sure that from now on you will have a lot of customers from Lusaka. Thanks soooooo much, all the goods arrived around 2h30 today and we are soooooooooooo happy ... will certainly make use of your service again!! Thank you very much for your quick response on all my emails and being so kind to assist quickly on the Phone. I have received my order with lots of joy and excitement for my little ones day. Thank you Very Very Much for making My Child Day a huge success. Thank you very much to you and your team for your prompt and professional service. I am absolutely delighted with my purchase and will definitely use your services again in future and gladly recommend you to everyone. I would just like to thank you for your services! I have received my parcel this morning, thank you everything is very nice and good quality. Thank you for the good service. Thank you - have received my parcel...and very happy with the goods..! Hi ParyNet Team, Just to thank you for your speedy delivery - I have just received my goods and on time too! I would just like to say thank you as I have receive my order yesterday. Thank you for the feedback received on all my emails and excellent service. I have just received my order. It all looks fantastic, thank you so much! I have received delivery. Thank you for your professional service. I will most certainly recommend you and use you again. I just want to let you know that I received my stuff today! I'm super glad. Thank you very much for the excellent service. I will definitely order from you again in future. I have already received my order. Wow! Thank you so much for your efficiency, friendliness and awesome service. You guys rock! Thank you very much for excellent service. I really appreciate it. The delivery was quick and simple and all is well. I will definitely make use of your services again. Thank you. Thank you!!! Great service you guys! Thank you, I have received the order of Angry Birds today and my son is over the moon, he cannot wait for his party anymore. You have made it much easier for me to plan this for him. Thank you again. I have received my parcel. Thank you very much for your professional service. Wow! We are so impressed. Thank you so much for your awesome service. Thank you very much for sending my serviettes so quickly. I received it in time and we had a wonderful party. Many thanks, I received all in good order and in time for the party :) I'll recommend your services to friends and family. Just like to thank you for your speedy efficient service. I received my goods this morning earlier than expected, I would really recommend your company to people. Thank you for outstanding customer service. You are super awesome! Thank you! Just want to say that I received my order last night and I'm very happy with everything!! Looking forward to the next one!! Thank you so much. Love your website and service, will use you again. Thank you so much for the speedy delivery. I can't believe I have received it already. Absolutely fantastic service. I will recommend PartyNet to all my friends! I just received my parcel and the stuff is beautiful. My baby is going to be so excited. Many Thanks. Thank you so much for sending my party stuff, Party net has just made my party. I am so impressed with you guys. It was a pleasure dealing with Party net. Thanks-a-mil.... The goodies are too cute and I'm very happy with it. Thank you for the good service, it was a pleasure to order from you, and we will definitely do so again. I just received my order and am a VERY happy customer! I will definitely buy from you again! Have a great day! I have just received the package I ordered yesterday after 3pm!!!!!! Thank you so so much. I will definitely use you for the next party I have to organize. I recieved my parcel this morning. Thank you sooooo much!!! You guys have excellent service and I will certainly make use of your services again. So excited, my daughter's birthday is going to be extra special with the Care Bears theme! Just want to say THANK YOU for great service. I received my order:) Hope you have a wonderful day. Thanks I received my order for the bumblebee themed baby shower items, and it was Gorgeous! The mom-to-be was so happy! Thanks a lot for everything, will definitely work with you again. Thanks so much for all the goodies, very chuffed with the service and products! Will do business again. I would like to thank everyone at Party Net for the great service and products I received. I will totally recommend you to everyone I meet. Thank you for making my son's birthday truly amazing. Thank you for my order that was sooo succesfully delivered and completed, I realy do appreciate your effort. I would suggest Party Net to anyone!! You guys are truly awesome! I've received my order and I'm really happy with the products and with your service! I'll come back to Partynet again. Thank you so much!! Thank you so much for your fast and reliable service! Always a pleasure doing business with you. Thank you very much! I received my order. Will definitely order again from you in the future. Thanks order arrived. Impressive dealing with your company and the service!! I have received the package. Thank you very much for the prompt delivery. Will definitely recommend your services to others and look forward to doing business with you again in the near future. I collected parcel at post office today. Thanks a million, received everything in good order. Will definitely make use of your services again! Thank you for the parcel, it was delivered. I will definitely make use of your service again and will refer all my friends in the future. It is perfect. All items received! Thanx a mil for your assistance. I have used the Partynet site for the first time and I must commend you on the very impressive service received. I will definately be using your site again! Excellent service! Please convey this to your managers! Thanks again and much appreciated! Thank You For The Great Service and Speedy Delivery!! Thank you so much, I have received my order, in amazing time, everything in the order is perfect. I will without a doubt be using your company's services again. Thank you Party Net, I have received my order and I was so surprised at how soon I got it. I'm very happy with it. Thank you again. Thank you so so much for my goodies, it is so stunning, I love it. I will place more orders from you very soon and tell everybody here about you. We are a small town but we are a lot of people that would like items like this. Thank you so so much. I just wanted to say that I have received my products within a week of placing my order and am very happy with them. 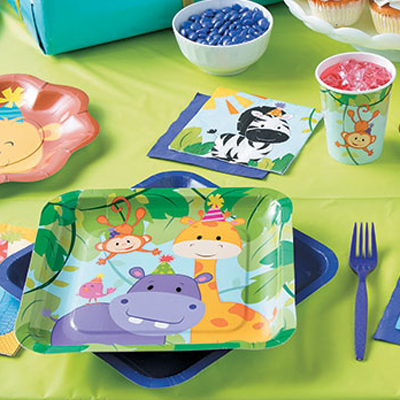 This is a great website for ordering party supplies and the service is reliable, fast, and great. I will definitely be ordering things from your website again and will recommend this website to anyone. Big thank you for such wonderful service. It's been an absolute pleasure dealing with your company :-) the stock received was exactly as they were posted on the net. I will definitely be purchasing all my birthday stuff form your company. Your service is brilliant please keep it going as its soooo hard to find a company with good customer service. Thanks once again. Thank you for your prompt service. I have received the parcel. I will definitely make use of your Company in the future! Thank you. Much appreciated. Will definitely make use of your services in the future! Thank you very much for the party goodies I received this morning! Thank you for your great service! Many thanks for your effort, I do appreciate it and would like to make use of your services in the future. Many thanks again for the excellent service. I do appreciate it. Thanks we have received the parcel and are very satisfied with your service. We will definitely make use of your service again and will recommend it to other friends and family. Thank you so much for your extra effort, and for making sure that my party goods arrived on time. I will definitely be recommending Party Net to friends and family. Thank you very much for your professional service!!! It's much appreciated! Thanks so much for your great service! Will definitely make use of you guys again! Thank you, the parcel just arrived. Awesome goodies and thank you for the great service. Just to let you know I have just received my order and I am THRILLED..... thank you for your fantastic service and I will definitely be using you again. I received my package in good order. Thank you for all the great service. Again thank you very much, I will most definitely recommend you to all my friends. I am not a fan of online ordering BUT this was by far the best experience I've had and will support you again!!! Thank you very much! Great service and feedback - keep up the good work! Thank you for the awesome service - couldn't believe I received my parcel yesterday. So fast and such a pleasure to deal with. Thank you. Thank you very much for my order, it arrived yesterday well ahead of my party. I am very happy with the service and my little girl is extremely thrilled with all her party items. Thanks again for the efficient and timeous delivery of my order. Good Morning, I just want to say thank you for the quick service I had with PartyNet! I have ordered twice from PartyNet and I was satisfied! Your prices is reasonable and I will recommend PartyNet to family and friends. I will also use PartyNet's service when needed again! Hi, Just received my order. Thank you for excellent service! Will definitely use you in the future. Will also comment you to everyone I know. Thanks again! THANK YOU SO SO MUCH!! You managed to get my order out in time before you closed for holidays end last year, and I received delivery not long after. And it was all in time for my little Girls birthday. And she Loved it. Thank you so much for all your efforts. I RECEIVED THE PARCEL THANK YOU SO MUCH ITS EXCELLENT AND LOVE THE PRODUCTS!!!! Order placed and shipped. Your service is awesome, thank you! Thank you so much, my delivery has arrived. Your service has been so efficient and such a pleasure to order from you. Dear PartyNet Team, This is the second time I have ordered from you, and again you delivered excellent service, from the time of placing my order upto the receiving of my goods.. This kind of service is scares, so keep it up and know that it is much appreciated.. I just wanted to let you know that I collected my parcel this afternoon at Clicks Edgemead (Pick up Point). The collection went smoothly and I am extremely pleased with the product. Thank you for your assistance. You guys are amazing, thank you. You made my order happen even though it was only possible for next week! My hats have arrived and they are great. Thank you! I just wanted to let you know that I received my order & I love it. I got it. thank you! amazing service! Hi PartyNet I received my order and I'm really happy with the goods and the service I received!!! I will definitely use PartyNet again in the future. Thank you! Thanks so much it arrived this morning!!! SO EXCITED!! THANK YOU!!! !